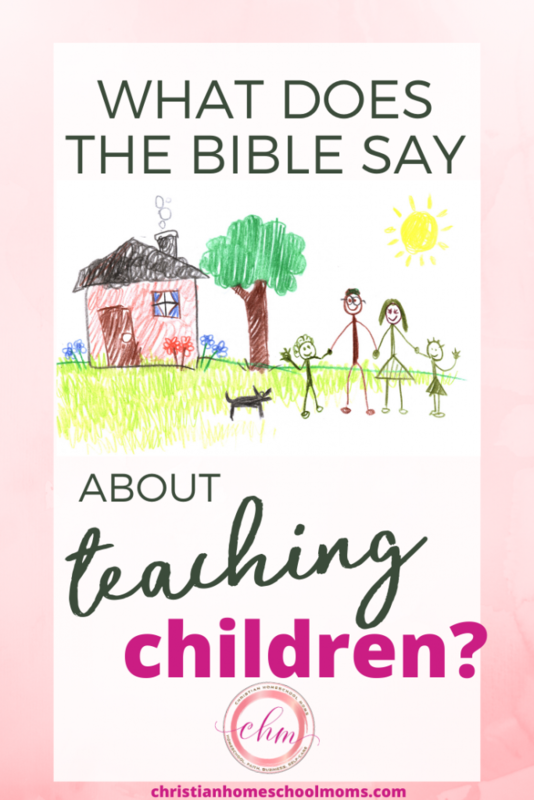 We teach and teach and teach our kids…but have you ever asked yourself what the Bible has to say about teaching? As Christian homeschool moms we often get caught up in our daily school activities: teaching core academic subjects such as writing and arithmetic, science and history, or even music and art. We understand the importance of teaching these subjects. We also understand how important it is to teach God’s Word to our kids. But why is teaching important, and what does the Bible really have to say about our role as both moms and teachers? But what does the bible say about teaching children? On today’s podcast I want to cover this topic by giving you a few scriptures to think about and ponder in the weeks to come as you set out on the daily task of raising, loving and teaching your kids. Know that God has a plan for your kids and for your family. Your availability is important to your family and your teaching is not in vain. During this month of February, I want to focus on love: loving our families and ourselves. abilities to do things well- such as cook, offer someone a ride, or give an encouraging word. Today, we talk about the blessing and the enormous duty of being a mother through the lens of God’s Word. What does God have to say about not only mothering our kids- but the art of teaching our children? “Train up a child in the way he should go; even when he is old he will not depart from it.” Proverbs 22:6. If you’re teaching your kids, you are showing them the way to go. This means our attitude towards our kids should be “Do as I do” and not so much “do as I say”. Showing them the way means we have to model for our children, giving them a path to follow. We show them what to do and how to do it, then we watch them copy us. That’s ultimately what we want: to show our children how to do life. For example, whenever you choose to have a family bible time or bible study together, you are giving your kids a great experience to role model. You are showing them what they can hopefully pass down to their future families and next generations. It means to assert our energy until we have accomplished the task before us. Raising up our kids is probably the most diligent task we can pursue! We are to press in, giving our kids the best of what we wish to pass down- and do it with all of our hearts: diligently. Teach them all the time. If you thought teaching was a five-days-per-week thing…think again. We are teaching our kids around the clock- all day long. But as a homeschool mom, I’m sure you already know that! As homeschool moms, we are always teaching our kids, no matter what we are doing. Even if we are not intentionally teaching or not even saying a word, just by our actions we are teaching them life lessons. We don’t get a break from teaching! How should we correct our children? I believe the answer is “with love”. We also shouldn’t be afraid to withhold correction. It’s so important that we give our kids consequences. We should always follow through with correction when it’s needed. Teach them to honor and submit to authority. This verse reminds me that teaching our kids to honor authority is so important today in our culture of dishonor. Although our kids have an opinion and should be encouraged to have a voice, we also need to be clear about boundaries. We should show them not to cross the line so that they keep their integrity wo honor and submit to authority. Teach them to honor our teachings. What happens when our kids despise our ways? When they dishonor us? When they turn their backs on us? One of our constant prayers as moms of faith should be that the Lord would help us to teach our children to honor what they are being taught. We’re teaching them in order that they will please God ultimately. We want them to have a long life and enjoy their lives so much easier because of their obedience. Teach them to run to God for everything. I’m so glad that I can turn to God for any and everything! I want my kids to know that they can also. Teach our kids to trust in God and run to Him for everything they need. Also, God accepts them and has a purpose for them. As Christian moms we can cultivate a sense of importance inside of them our children should have. They should know how important they are, how needed they are, how loved they are. I hope this podcast has blessed you! Please consider leaving a review in Itunes, and don’t forget to pick up your free printable to place on your wall or your teacher binder. I hope this encourages you to keep on teaching your kids!